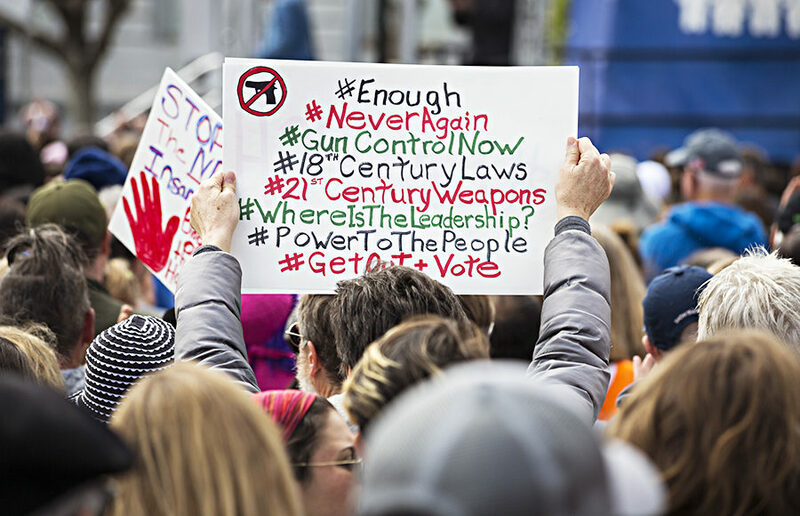 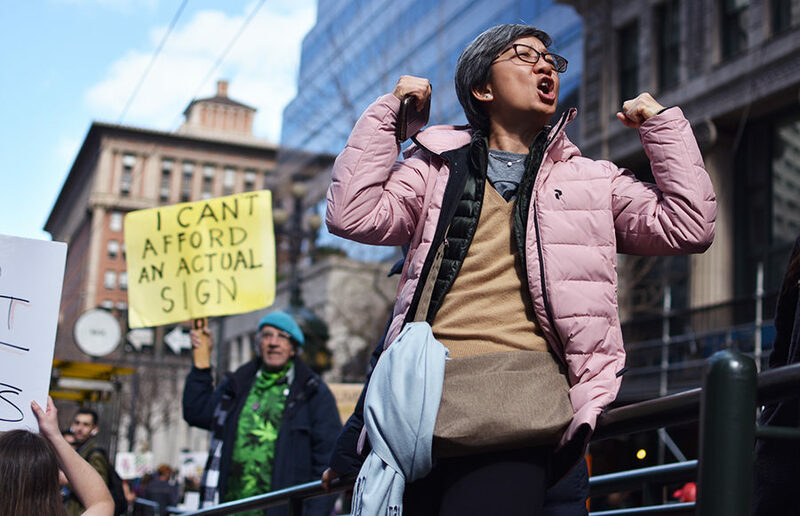 Protesters hold signs that criticize current gun control policies. 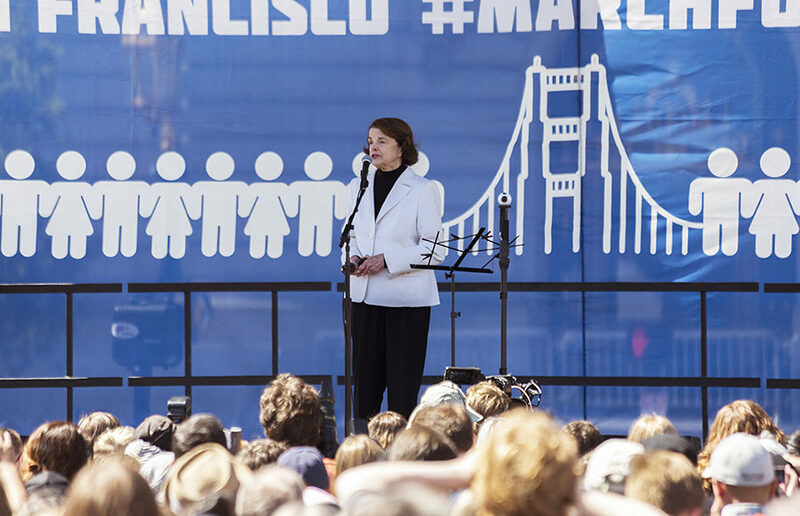 U.S. Sen. Dianne Feinstein, D-California, came to speak at the March for Our Lives rally. 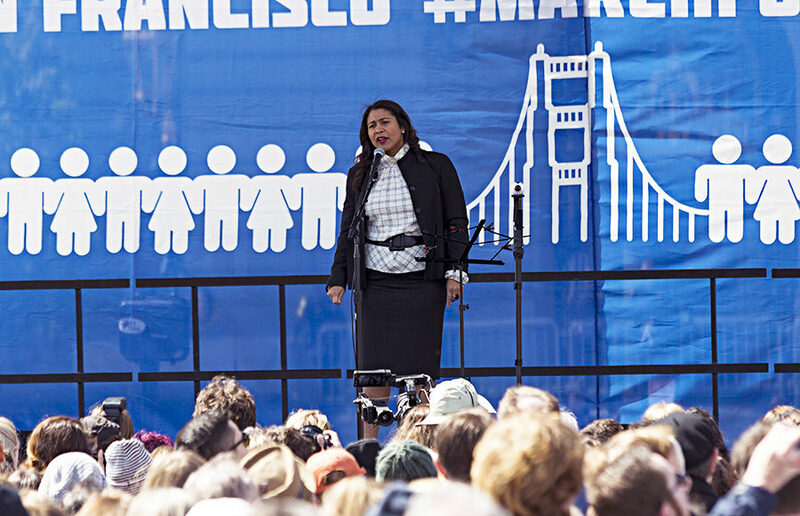 President of the San Francisco Board of Supervisors London Breed speaks at the rally. 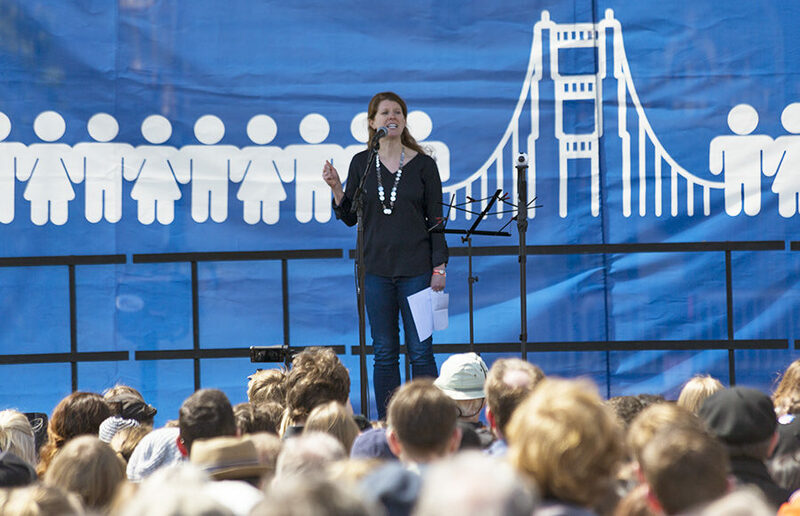 Berkeley resident Briar Goldberg shared her experiences as a survivor of the Columbine High School shooting. 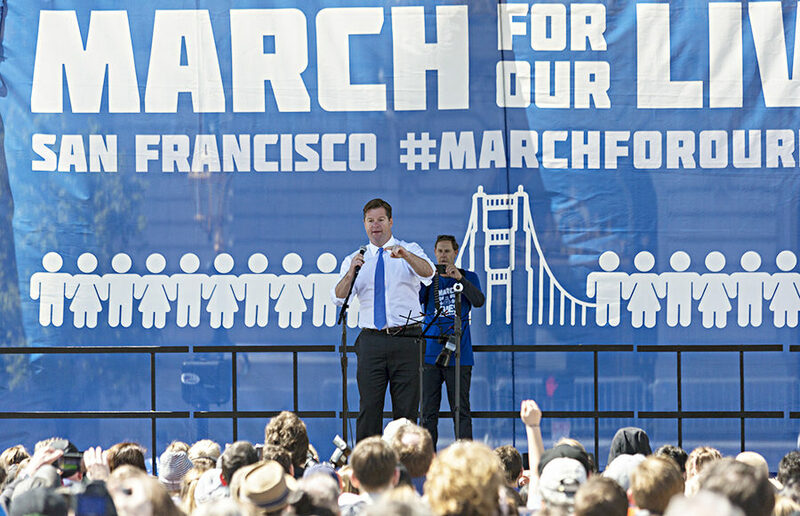 Mark Farrell, the 44th mayor of San Francisco, made an appearance at the March for Our Lives rally. 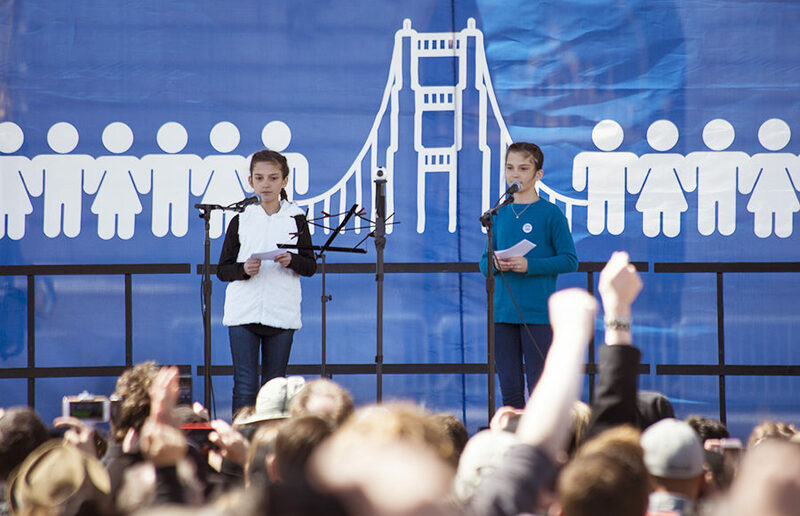 Charlotte and Dylan Dodson, 12-year-old identical twins who attend Marin Country Day School, speak at the rally. 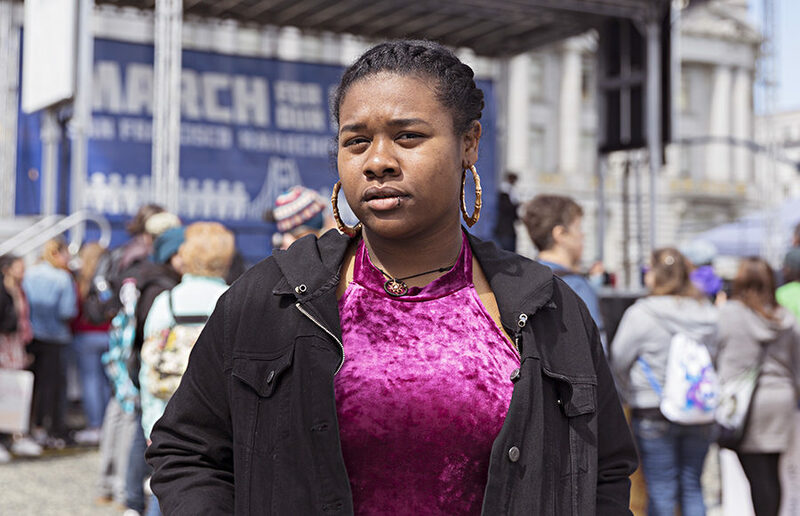 Cimone Powell, a 15-year-old senior at Ruth Asawa San Francisco School of the Arts, joins the rally as a student speaker in San Francisco. 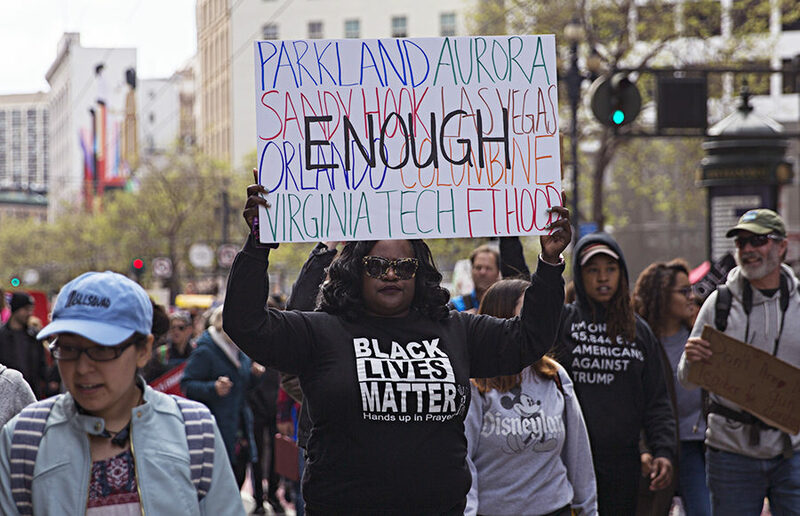 Protesters march and chant during the March for Our Lives rally. 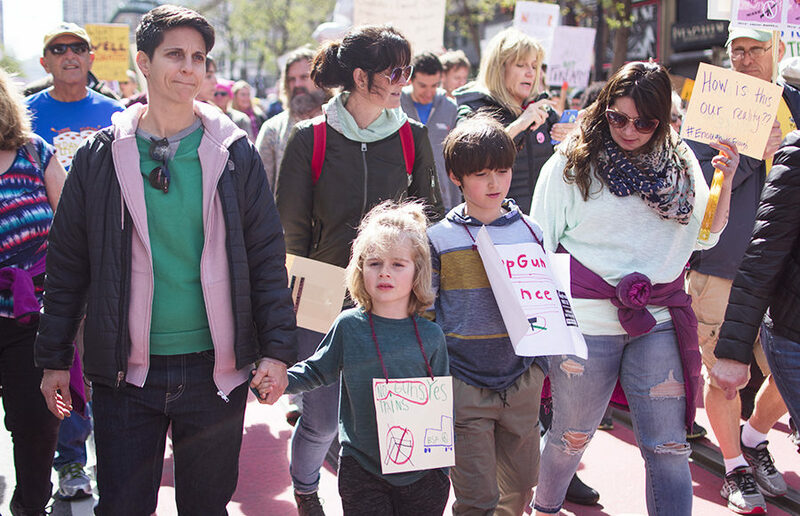 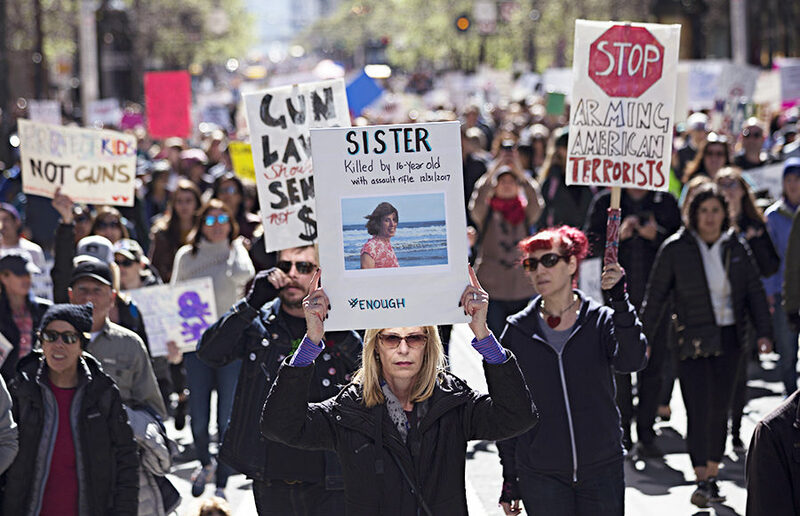 A woman marches in remembrance of her sister. 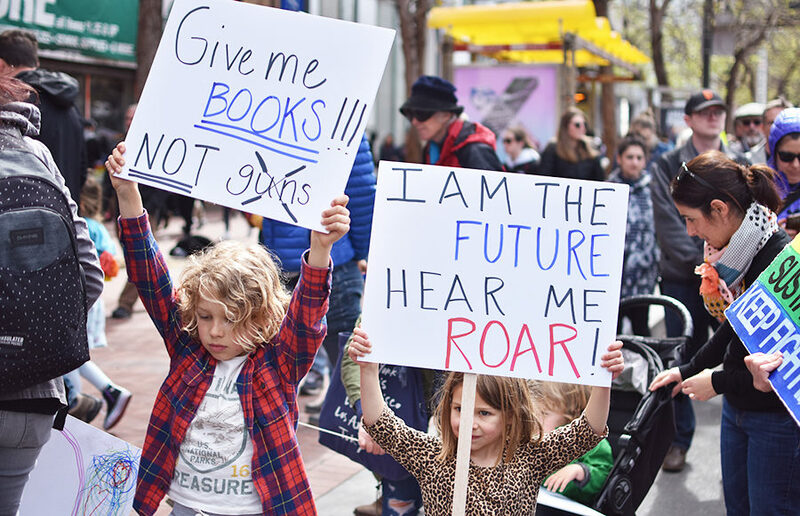 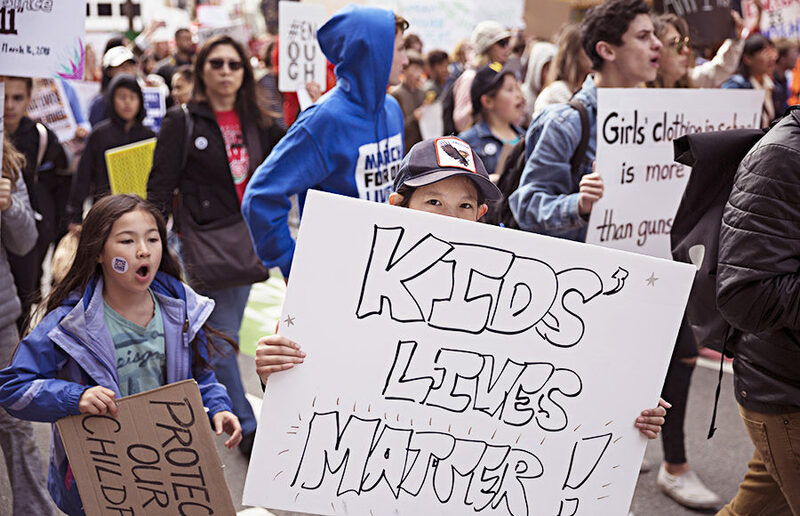 Children join the March for Our Lives rally with signs. 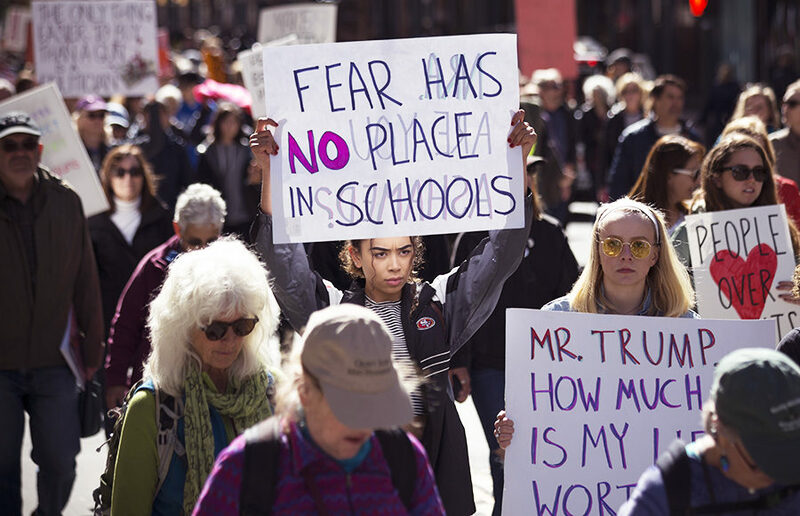 Protesters hold signs criticizing the federal administration in Washington D.C.
Shoaib Zafar holds balloons bearing names of victims of gun violence in schools during the march. 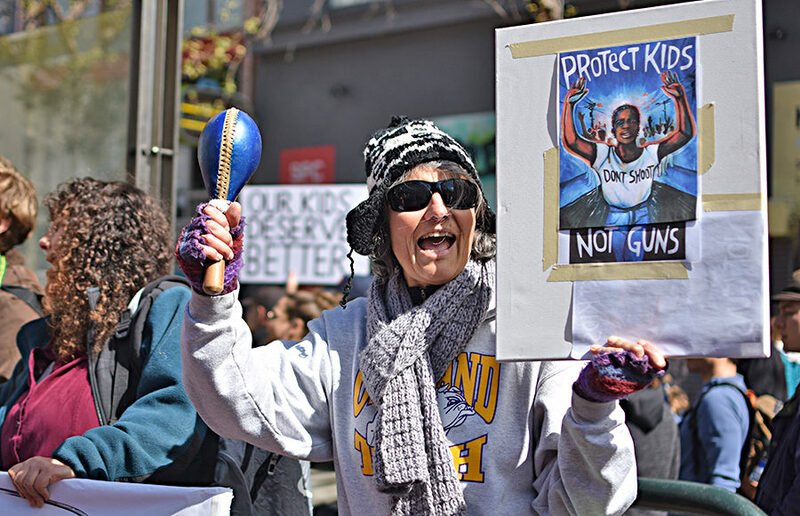 A woman chants during the March for Our Lives rally. 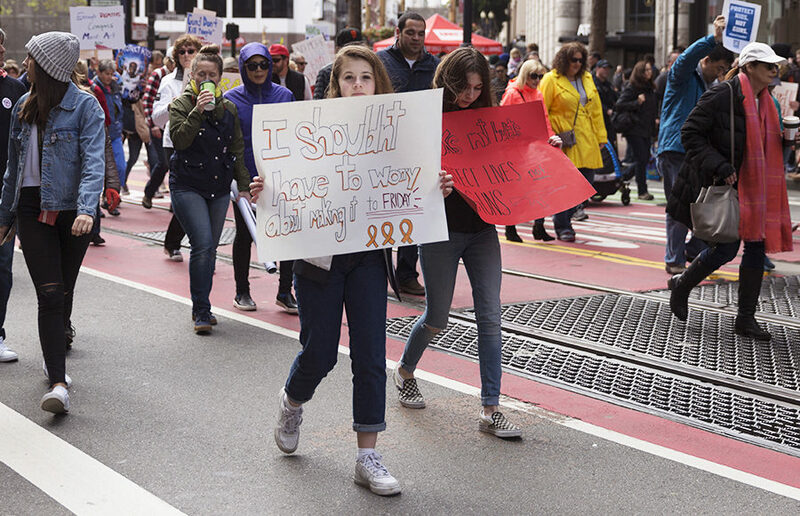 Protesters march during the March for Our Lives rally. 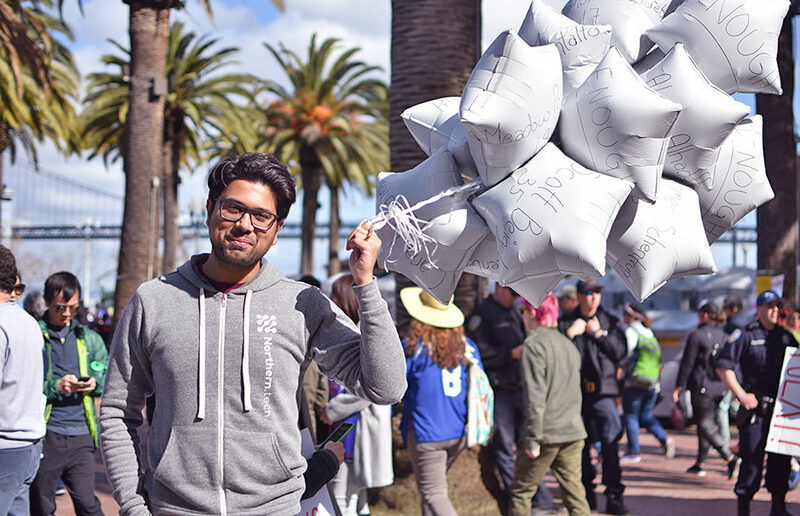 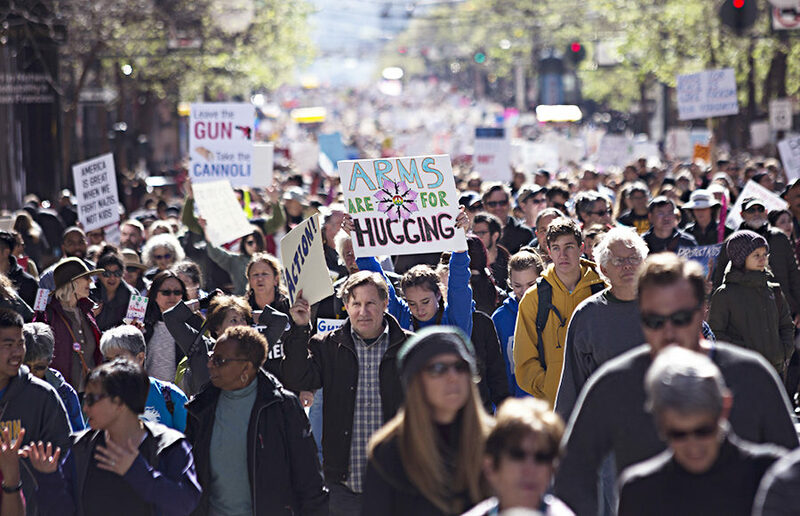 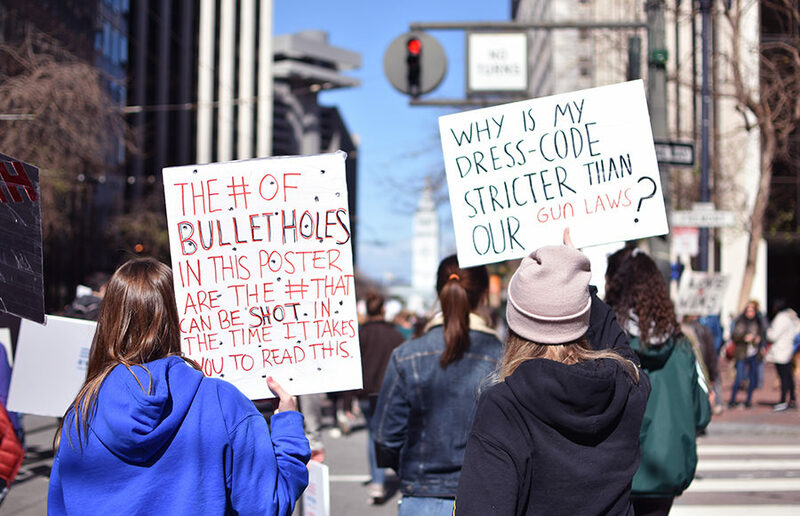 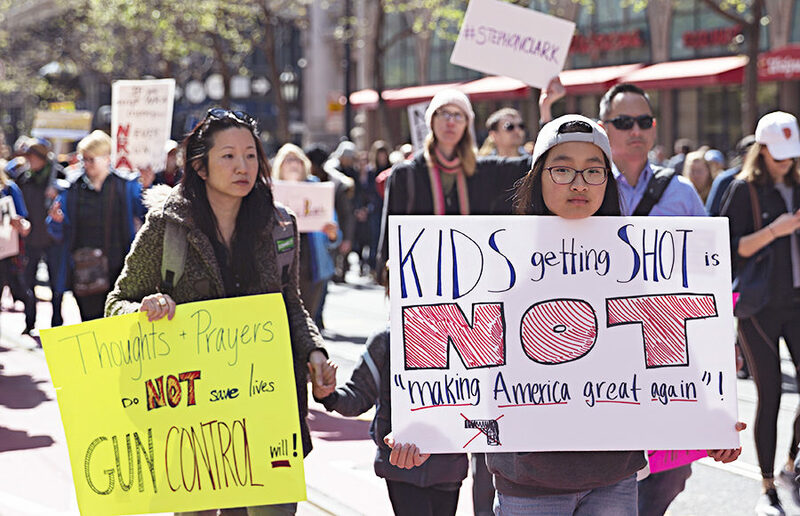 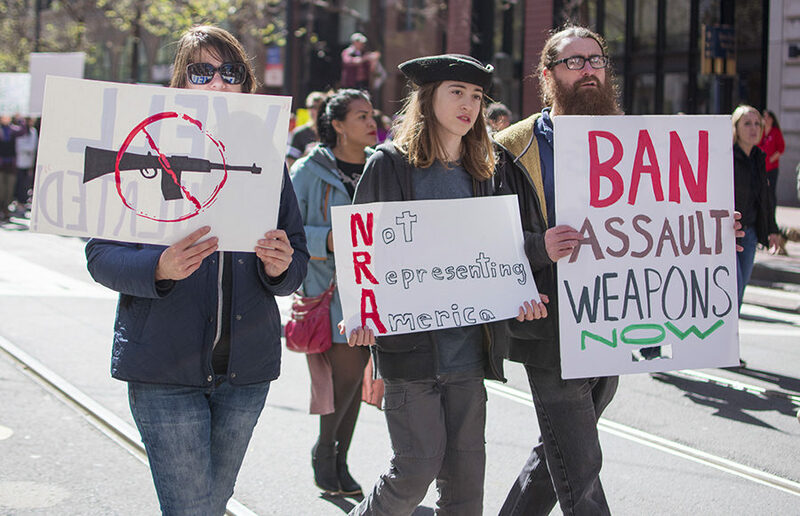 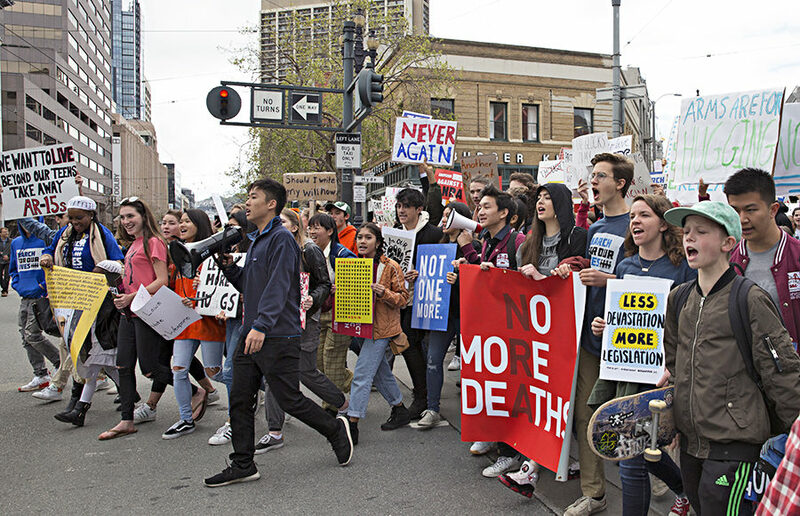 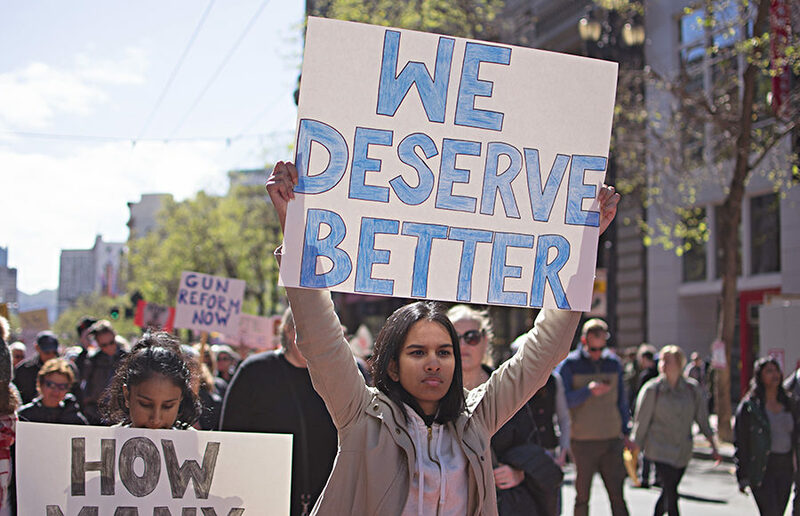 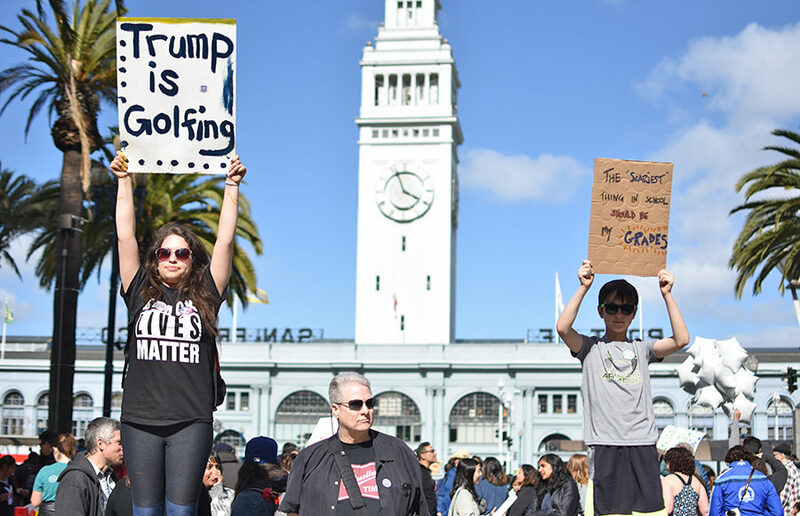 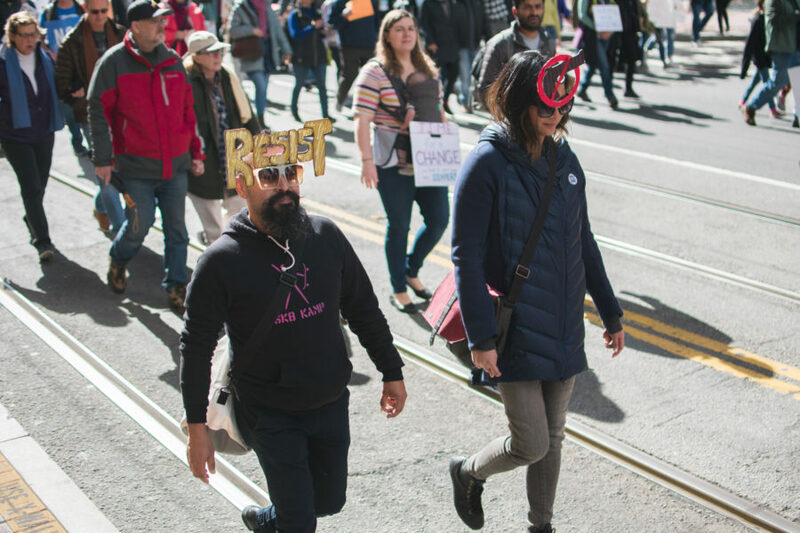 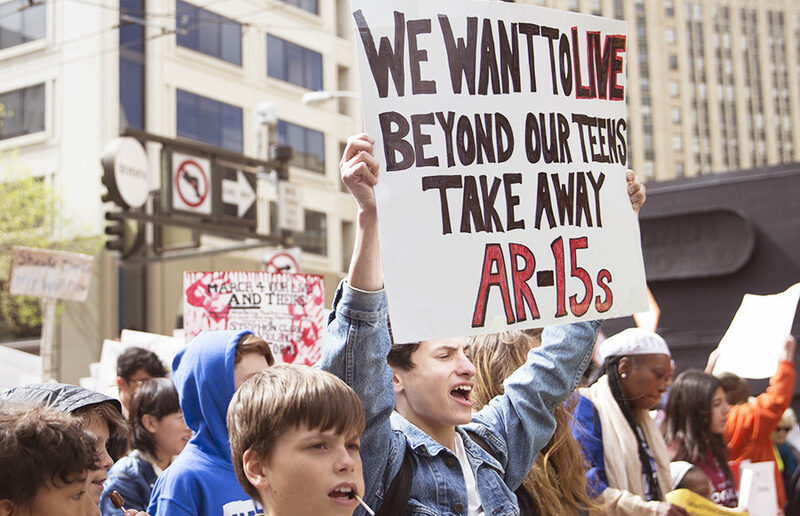 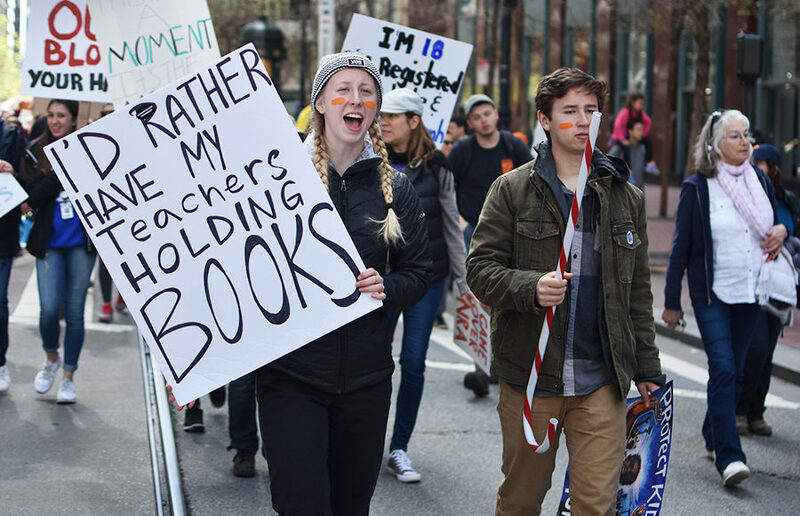 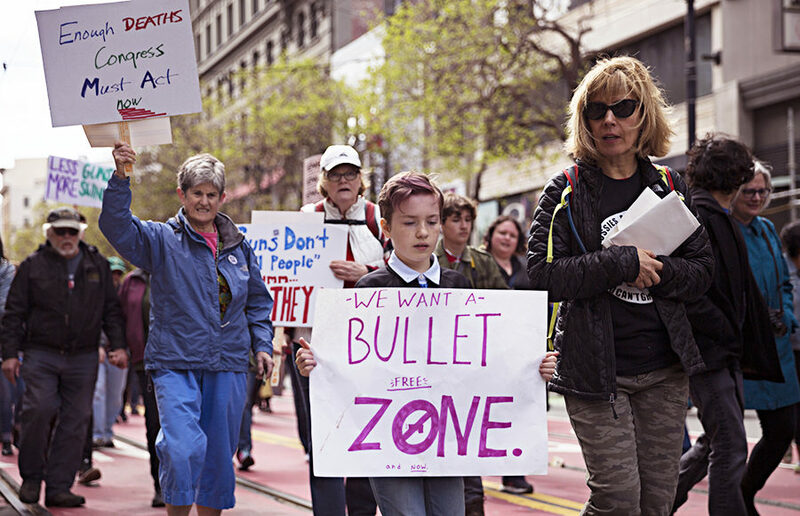 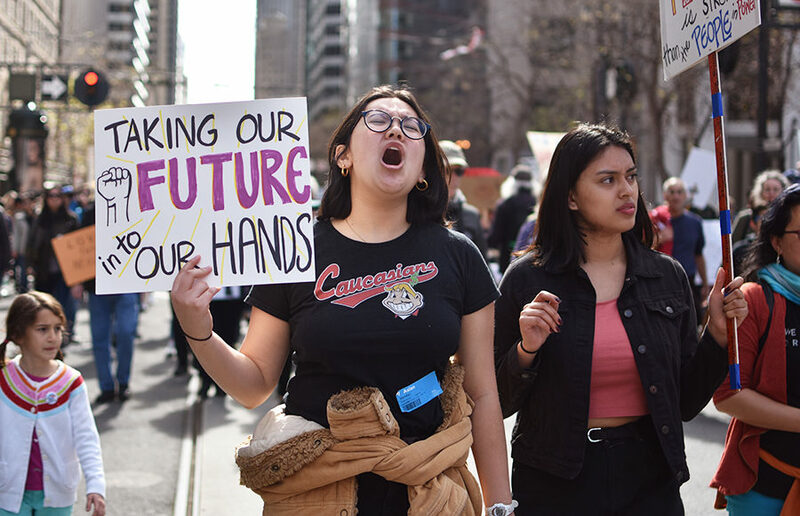 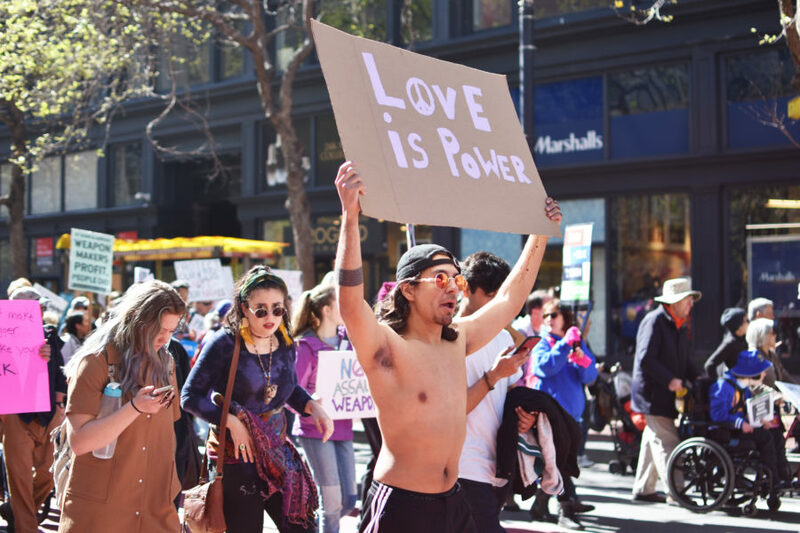 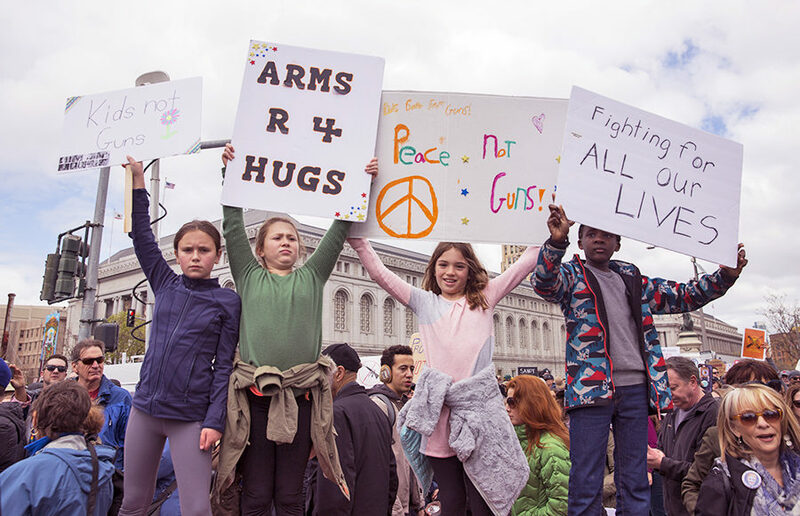 Protestors congregated at the March for our lives rally in San Francisco to voice their opinions about the need for stricter gun laws and march in remembrance of the lives lost due to mass shootings on March 24.